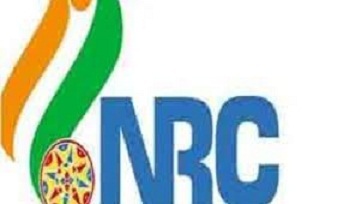 The Home Ministry is considering a proposal to grant work permits to those persons whose names do not appear in the final National Register of Citizens (NRC) in Assam. If the work permit system is implemented, it will allow many who have illegally settled in Assam to continue living here and work as documented foreigners. The work permit system is a proposal which faces a tough political test as BJP has made implementing NRC and deportation of Bangladeshi migrants a major strategy to curb illegal migration in India. The proposal of issuing work permits is one option that the government is considering in dealing with the persons failing to qualify for the NRC. Ministry sources have said that there are many difficulties in deportation of illegal immigrants and no country would be willing to accept illegal migrants who have crossed over, reports TOI. This proposal will encounter fierce opposition among the people of Assam as detection and deportation of illegal migrants in Assam was one of the key features of the Assam Accord. The Assam Accord was a Memorandum of Settlement (MoS) signed between representatives of theGovernment of Indiaand the leaders of theAssam MovementinNew Delhion 15 August 1985. The accord called on the Centre to detect and deport those persons who have entered Assam after March 1971 and delete their names from the voter list. The final draft of the NRC which was published on July 30 excluded 40 lakh people and this led to a major political uproar in the state. However, a government source said that a final decision is yet to be taken on dealing with the people who fail to qualify for the NRC. The people who are in opposition of the Citizenship Act say that the proposal of issuing work permits would render the Assam Accord useless.